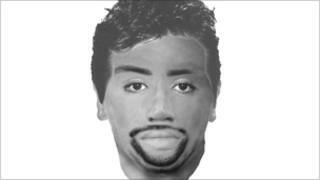 Detectives hunting a man who raped a 21-year-old woman in Aberdeen last month have issued an e-fit of the suspect. The woman was assaulted the early hours of Thursday 4 November, in Correction Wynd, in the city centre. Grampian Police urged anyone who recognises the man to contact the force. He was described as being of Asian appearance, stocky, with short, dark hair and a thin beard and moustache. The beard may have been light growth rather than trimmed facial hair.